Whilst the seasons may be shifting, exquisite taste never goes out of date, and neither does a well-dressed man. Transcend the trends year after year courtesy of our carefully curated jackets and coats collection. 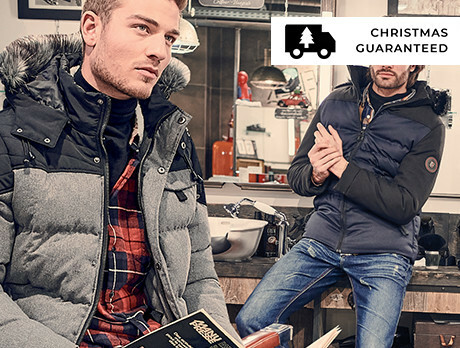 Featuring striking silhouettes and fine finishes from the likes of Geographical Norway, Hugo Boss and Hackett London, you’ll be battling the cold in effortless style.